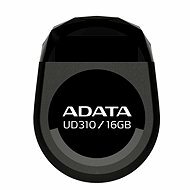 The ADATA UD310 is a highly durable flash drive made using special Chip-on-Board (COB) technology that guarantees water resistance as well as resistance to shocks and external damage. The flash drive is compact in size and designed in the style of a small diamond. You can keep it plugged into your computer without hindrance while working or connecting other USB devices. It has a storage capacity of 16GB and uses a high-speed USB 2.0 interface for data transfer. The drive is perfect for simply and quickly transferring documents, photos and other files. The ADATA UD310 combines advanced technology with reliable data retention, stylish design and portability. 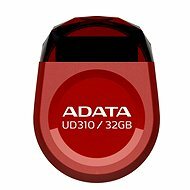 For shipping to other EU countries visit this page ADATA UD310 16GB red. Für Versand nach Deutschland, besuchen Sie bitte ADATA UD310 16 Gigabyte rot. Chcete doručit zboží do Česka? Prohlédněte si ADATA UD310 16GB červený. Chcete doručiť tovar na Slovensko? Prezrite si ADATA UD310 16 GB červený. Für Versand nach Österreich, besuchen Sie bitte ADATA UD310 16 Gigabyte rot. Magyarországra történő kiszállításért tekintse meg ezt a termékoldalt: ADATA UD310, 16 GB - piros.